It didn’t take till morning for Elissa to become fully rested. She had woken up some time towards very early morning with a full bladder and nowhere to use the bathroom. She accidentally let it go. She looked around to make sure noone had witnessed the embracing moment and made plans to head to the gym for a shower now. 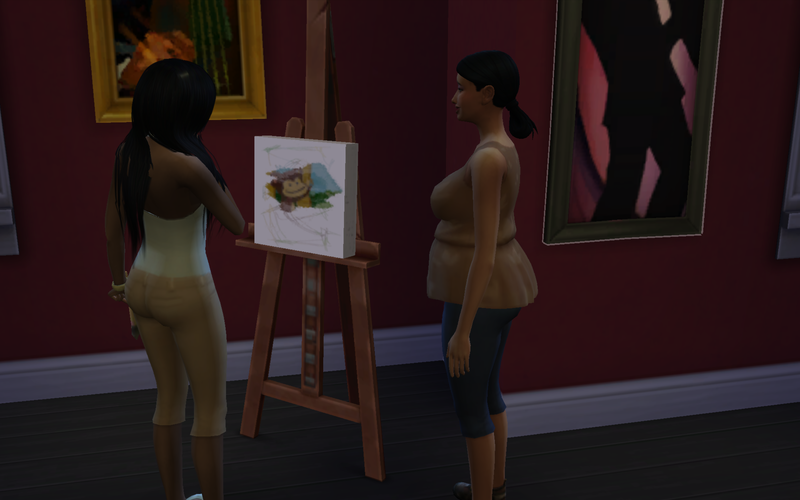 After the shower, Elissa felt the slight stirrings of hunger pangs and decided the purchase of her easel would have to wait until her next paycheck. 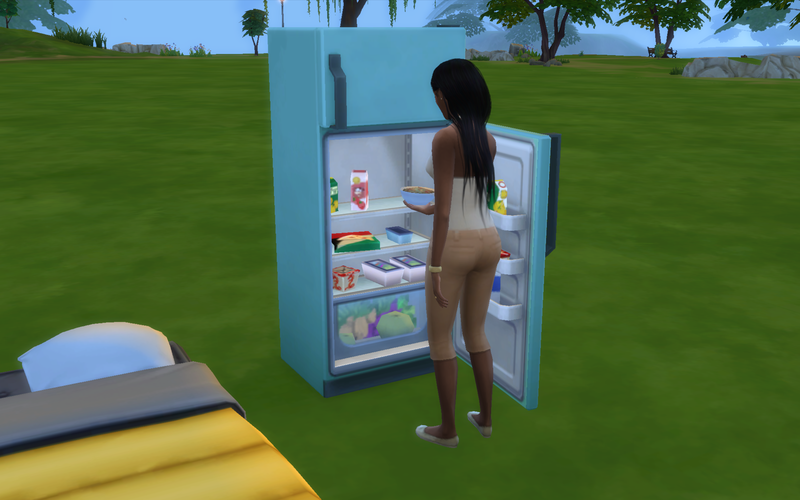 She felt that she needed to invest in a refrigerator. That way, she could eventually work on her cooking and make less expensive meals. Elissa sat down with her nice bowl of cereal and finished up before heading to the museum to practice painting. Elissa painted 2 small op arts paintings before she had to go into work…and late again I might add. Only this time she was late by a half hour. 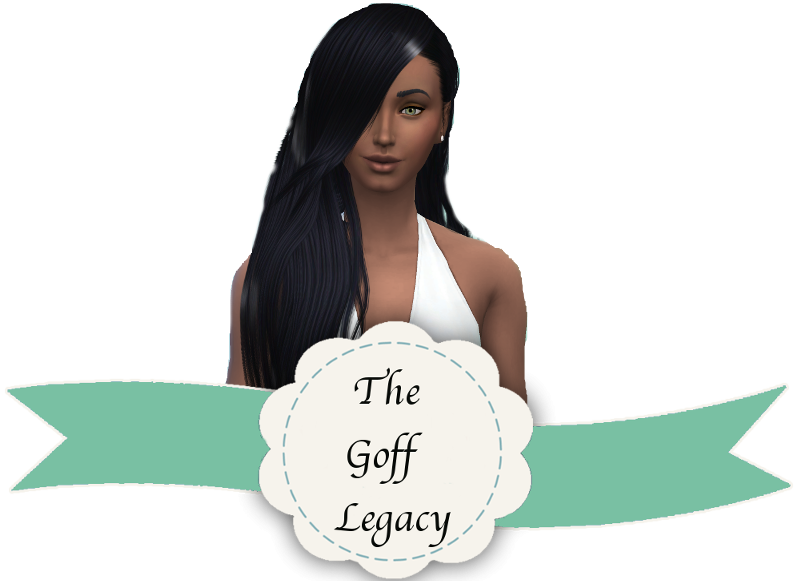 Elissa’s hard work had earned her a promotion so to celebrate she decided to add a couple of things to her home…her house…her empty lot. 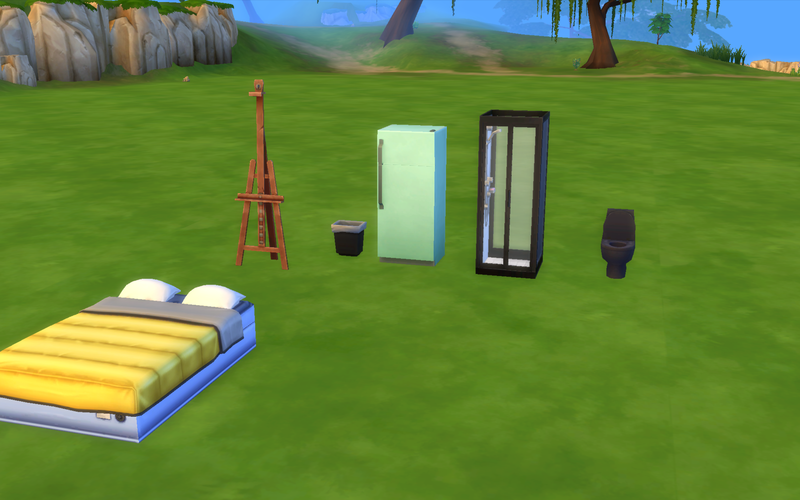 She only got the essentials since she was running low on cash. 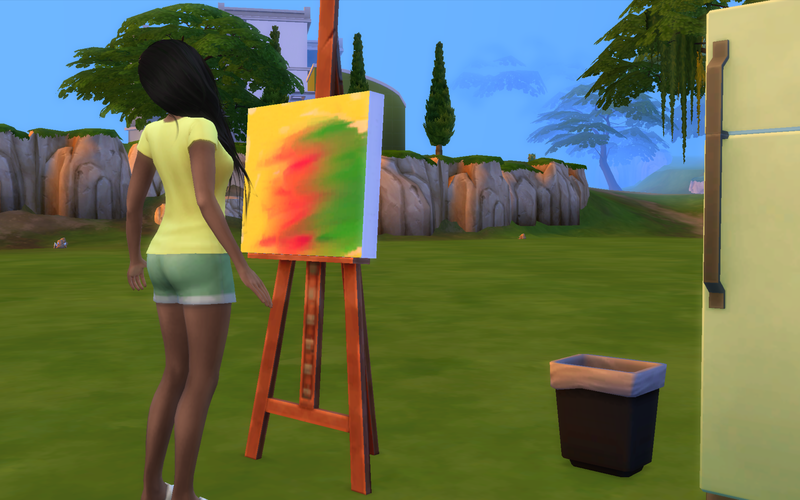 Since she wasn’t quite so tired, she decided to practice painting a little bit. 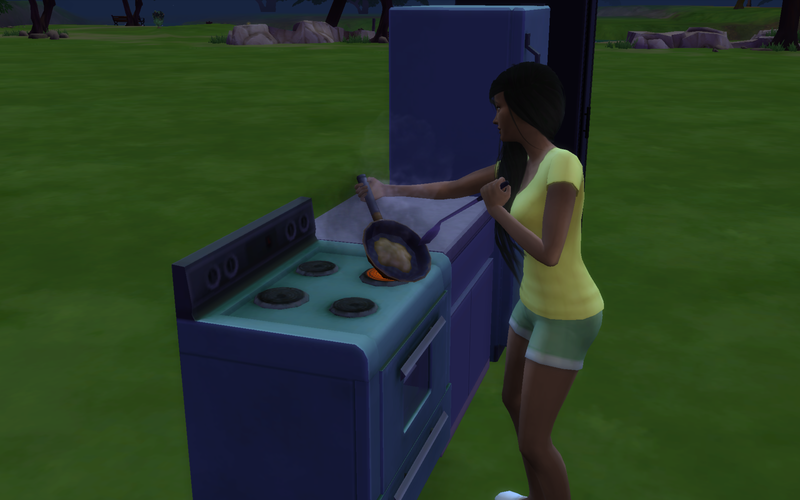 She managed to increase her skill to level 6 and by that time she was starting to get hungry. She sold her paintings and bought a counter and stove so that she could cook something with sustenance. After a disastrous run in with a skillet of scrambled eggs, Elissa sat down to have a crispy plate of scrambled eggs. With a satisfied feeling in her stomach, Elissa called it a night.